The global EV market grew 64% in August, to almost 103.000 units, beating the previous year best result (June, 102,6k units) and less than 1.000 units behind the all time record, made last December (103.746 units). Considering this brilliant performance was still made in holiday season, with July and August being the slowest selling months of the second half of the year, i think it is safe to say that from now until December ALL months will show six-digit results, starting with September, where i believe last years record will be shattered, with the numbers maybe reaching some 130.000 units. In one month. With YTD sales now improving 47% on the same period last year, surpassing the one million mark by year end seems to be a given, the question will be, by how much? Will sales reach 1,1 million? 1,2? Even more? In August, the four best selling plug-ins came from China, with the BAIC EC-Series reaching new heights (6.726 units) and taking the Best Seller title, followed by the tiny Zhidou D2 EV, also with record numbers (5.018), BYD Song PHEV and Geely Emgrand EV (4.114 units). An interesting addition to last month best sellers was the Chevrolet Bolt (+Opel Ampera-e),finally making its way into the Top 10, in...Tenth. Despite a glacial pace in the deliveries increase (An additional 20 units last month, 100 units more in the previous...), the fact is that the GM hatchback is reaching the 2.500 units/month (2.394 in August), but on the YTD chart, it is still in #13, and with the Chinese wave coming behind it, do not expect it to reach the Top 10 soon. The Chinese Kandi brand registered 3.213 units in August, but we do not know the real breakdown between the K17 and K12 models, but considering the K17 usually makes up for most of registrations, it can be the case that this model ended ahead of the Bolt, which would make Six Chinese models in August Top 10! The current Top 10 remained stable, with the only significant changes being the BAIC EC-Series jumpind two positions to Fourth, at the expense of the Tesla Model X and Zhidou D2 EV, while in Tenth we have a fresh face, with the BYD Song PHEV now set to surpass the Chevrolet Volt next month, the BMW i3 in the last quarter and maybe even pushing the Renault Zoe from its Seventh Spot. BYD was the Best Selling manufacturer for the fifth time in a row, with a pb 11.269 deliveries, so the Chinese company left BMW behind and is now looking to go after Tesla and discuss the bid for the 2017 Best Seller Trophy. The thing is, BYD has been hovering over the 11k mark over the last three months, and with Tesla set to post a record-breaking month in September (16k? ), with the Model 3 kicking in big time afterwards, BYD seems to have lost the chance to surpass Tesla (2.000 units separates both) and run eye to eye with the Californian for the Best Seller status. Considering the ambitious goals that BYD had for 2017 (200k by year end), one starts to question if this is just a supply thing, or is demand for the automaker plug-ins plateauing around the 11.000 units mark. In a stable market, a mention to Zhidou, which surpassed Renault and is now #8, while #10 Volkswagen had a year best performance, with 4.209 units, allowing it to distance itself from the #12 Mercedes (2.484 units in August), all while keeping the Chinese Roewe at bay (#11, with 22.136 units, 4.348 of them last month). The plug-in market in Europe had a surprisingly strong August month, with over 22000 registrations, up 68% YoY, pushing the market share up, now at 1.7%. This unexpected surge can also be an indication of an exceptional September month, will this mean the December '15 record (34213 units) is in danger? Despite being a usually slow sales month, due to the holiday season, the Renault Zoe hasn't stopped leading the way (For the eighth month in a row), as it tries to satisfy demand, but the real news in August were the deliveries surge from Volkswagen, with brilliant performances across the lineup, while also winning the month's Silver and Bronze. 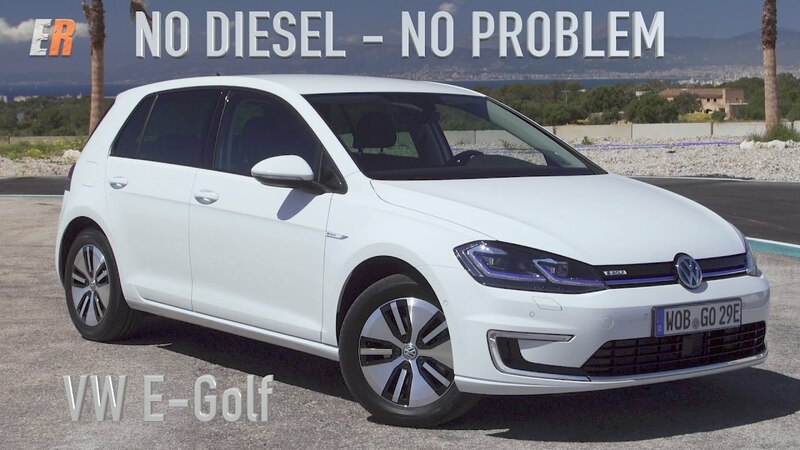 #3 Volkswagen Passat GTE - Also profiting from Volkswagen's recent love for plug-ins, the Passat GTE registered 1352 units, its best result since January, with great results in Sweden (614 units, new record), Norway (356) and Germany (198). The German Midsizer is once again flying high, driving middle managers across Europe to their next customers/meetings/mistresses. #5 BMW i3 - It looks like the 33 kWh sales boost has ended, with the German (hot) hatch delivering only 1149 units, its lowest result in a year, with Norway (390 units) and Germany (238) preventing sales to drop even further. If its true the upcoming restyling can help stop the sales bleeding, the fact is that the EV market is moving fast and only a sharp price cut can make it competitive again. If the podium positions remained stable, below it there were significant changes, with the VW Passat GTE climbing to Fifth, while its e-Golf stablemate jumped to #11, and to end Volkswagen's perfect month, the Golf GTE also climbed to #14. 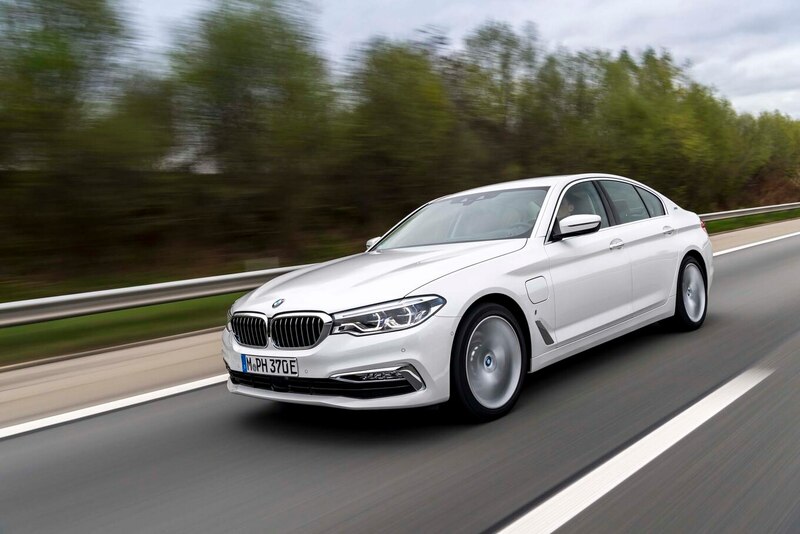 In #20 we now have the BMW530e, that with 627 units in August, it has struck a chord with its target aundience, eager to cash in on those juicy plug-in incentives, while at the same time shaming its direct rival, the Mercedes E350e (204 registrations in August) and even keeping up with the all mighty Tesla Model S (766 deliveries). In the manufacturers ranking, BMW is comfortable in its carbon fiber throne, with 20% share, followed by Renault (14%) and Volkswagen (12%, up 2%) now set to recover over the lost time. 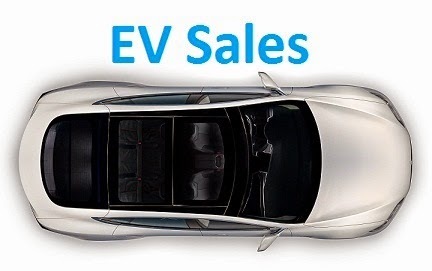 A record 55.000 new passenger EV's were registered last month in China, with the market growing 68% regarding the same month last year and pulling the YTD count to over 282.000 units, up 45% YoY. As consequence of all this, the PEV market share grew once again, this time to 1.8%, now firmly ahead of last year record (1.5%), as sales are expected to grow even further until the end of the year, the Chinese PEV market is sure to surpass the 2% share by year end, maybe even reaching 2.5%. This is still a highly protected market, where 94% of sales belong to domestic brands. Of the 7% left for foreign brands, 4% belong to Tesla, 1% to BMW, and the remaining 1% divided by all other auto makers. In August, small city cars were all the rage, with the EC-Series winning the best-selling award, with over 6.700 deliveries (A new record), beating the Zhidou D2 EV, while the Kandi K17 joined this month Top 5. #1 – BAIC EC-Series: A consistent seller this year, the BAIC EC-Series, formerly known as EC180, sold 6.726 units in August, a new all-time record for a single model in China, with the little city EV deliveries surging last month, owing its success to a trendy design, reminding that of a Crossover, improved specs (Now with 200 kms range) and competitive price (19.000€). Will it be enough to win the 2017 Best Seller award? If it happens, it would be a first for BAIC and the first time since 2013 that a BYD wouldn’t win the trophy. #2 – Zhidou D2 EV: Bare-basics city vehicle that doesn’t inspire anyone, but continues to be delivered in record quantities (5.018 units in August), probably due to big fleet deals. This vehicle is sold as a Quadricycle (Think Renault Twizy) in some European countries, with the following specs: 12 kWh battery, 120 kms range, 90 kms max. speed, all this for some 16.000€. 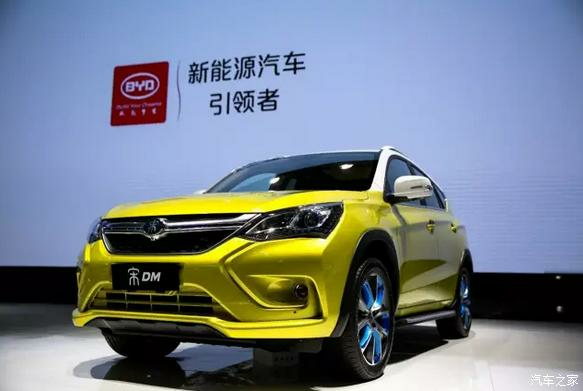 #3 – BYD Song PHEV: This is BYD’s “Model Y”, a VW Tiguan-sized SUV, here in plug-in hybrid version (The BEV had 1.200 deliveries last month, its second full sales month), it registered 4.194 units, dropping some 900 units regarding the previous month. Production constraints or is demand fading? I believe the full potential of this version should be around 5-6.000 units/month, adding some 3-4.000 units from the BEV version, and should be enough to have the Song to the tune of 10.000 units/month, both versions counted. #4 – Geely Emgrand EV: Geely’s sedan had a year best performance in August, with 4.114 units registrations. Improved specs (300 kms range) and equipment without hurting too much the final price (29.500$), helped it to pull sales up, but it remains to be seen if it will be able to match its personal best, achieved last December (6.023 units). #5 – Kandi K17: The five door Kandi delivered 3.213 units in August, allowing it to reach the Top 5. 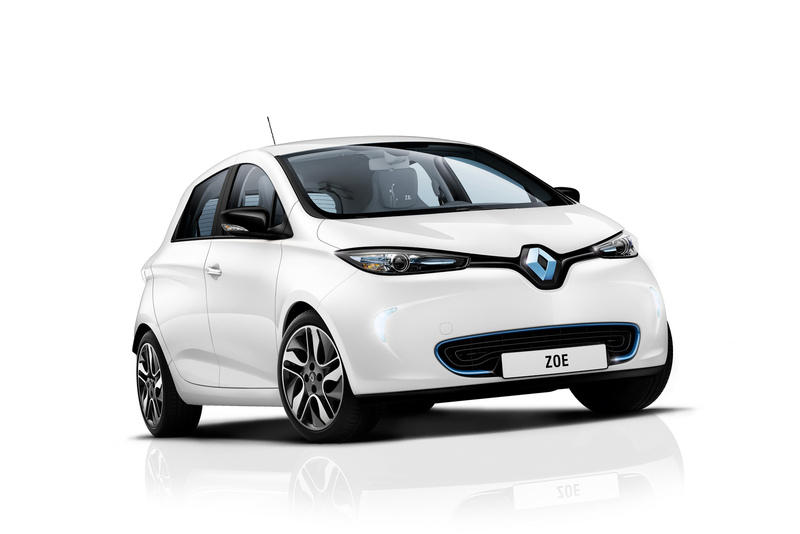 A popular choice among car-sharing companies, for 24.800$ before incentives, you get a fairly spacious city car (Think Renault Zoe-sized), with the 20kWh battery providing enough range, with the major drawback being the weak engine (48 hp). The big news was of course the BAIC EC-Series returning to the top spot, but the last place of the podium also changed hands, with the BYD Song PHEV climbing to Third, being at the same time the Best Selling SUV and PHEV in the ranking. The Geely Emgrand EV jumped to Fifth Place, while the Roewe eRX5 PHEV stumbled to #8, scoring its worst result since February (1201 units), being inclusively outsold by its just arrived BEV sibling (1580 units). A case of internal competition? One thing is certain, the BEV Roewe eRX5 is one mighty opponent, and not just for its PHEV sibling. A reference for the Kandi K17 surging to #13, while the BYD Qin PHEV returned to the Top 20, thanks to 2178 deliveries, its best result in 11 months, making it five BYD’s in the Top 20. Looking at the manufacturers ranking, BYD (20%, down 1%) is stable its position at the Throne, keeping the previous leader BAIC (15%, down 2%) at a safe distance. In Third Place we have Zhidou, with 10% share, with SAIC in its tail (9%), with the Shanghai-based manufacturer aiming to surpassing it soon, in its bid to become the Third of China’s “Big 3 PEV” club. How high will the Tesla Model 3 sales can go?